How’d you like to help a bunch of refugee kids? It’s incredibly easy and free! For just a few hours’ work, you’ll be amazed at the impact you will make. It’s called our Refugee Child Sponsorship Ambassador (CSA) Program. We have everything you need online and in a kit. You’ll need your church leadership’s approval, a table and two other volunteers to help you. 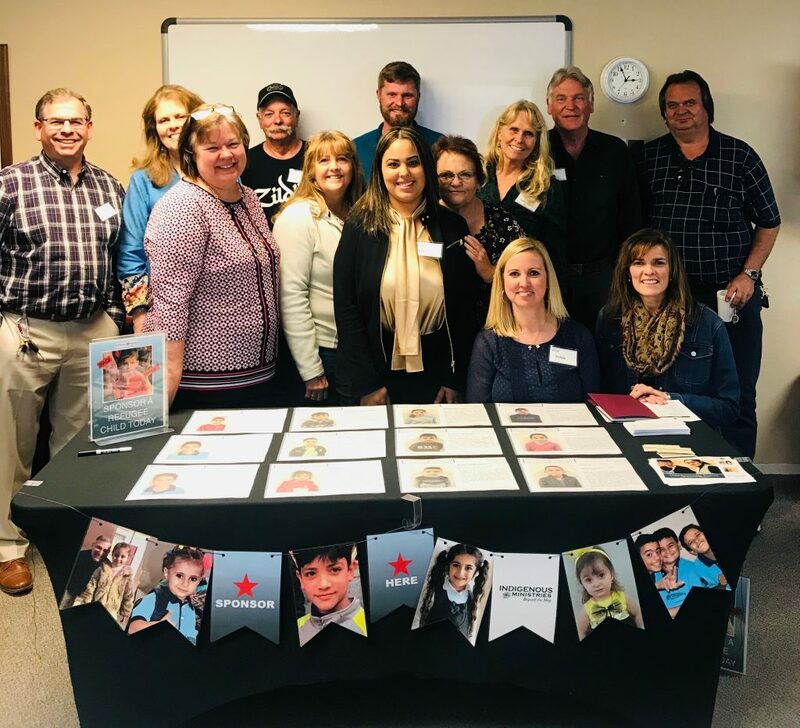 Last month we launched our Refugee Child Sponsorship Ambassador Program at Grace Community Church in Madera, CA and they saw 15 more children sponsored! Pictured, below, is the team Star and Dee trained on March 31. Great job, Grace Team!! L-R, Rod, Dee, Geoff, Caleb, Cathy, Jerry & Nick. Email our office today and we’ll get you started. 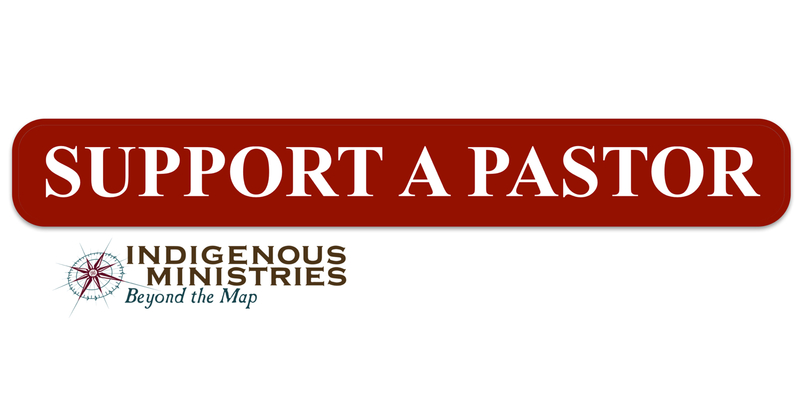 Watch for Indigenous Ministries’ Child Sponsorship Ambassador training events in your area. Every day counts for these waiting children. 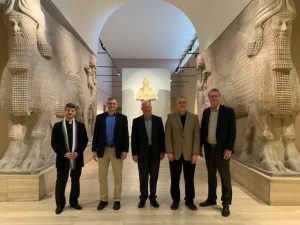 Baghdad – Last month our US team including three guest pastors, Ken Ford, Mike Lundberg and Jon Campbell spent time in Baghdad meeting with our partnering church, her Pastor Ara, Assistant Pastor Mazin and staff. This church continues to grow with a strategic and impactful ministry to hundreds each month. 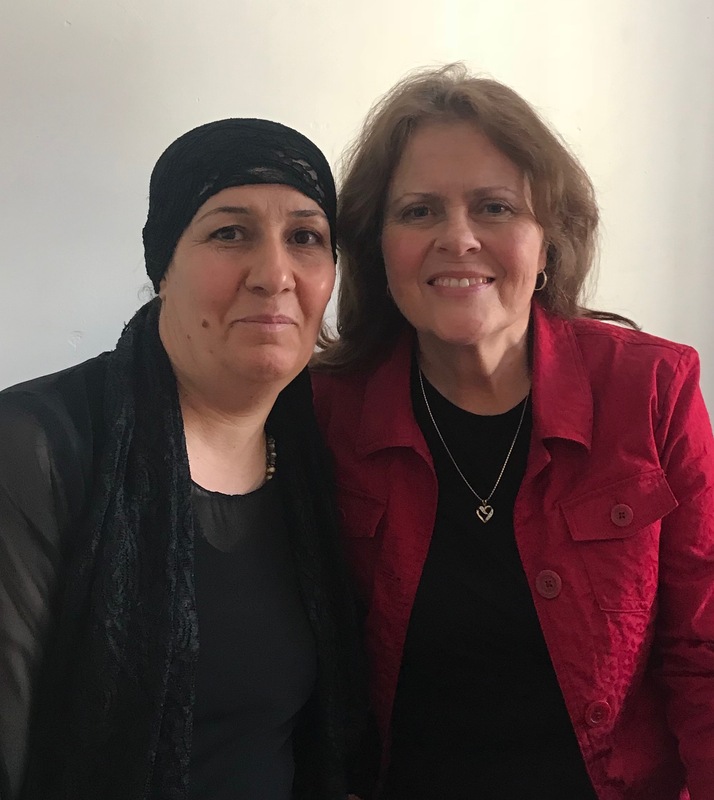 Her ministry is special; many of her former members are all over the world and some only listen to Christian radio which other ministries in Baghdad are doing an excellent job with because of safety reasons. This is a church of movement, and what makes this body of Christ unique is her sending power. People come and go from this church for many reasons. But they definitely keep coming and going. Since 2003, the exodus of Christians from Iraq has been staggering. Estimates vary, but the Christian population in Iraq in 2003 was anywhere from 900,000 to 1.5 million. Now with some 300,000 Christians left in Iraq, many are scattered all over the world, including the US. The emotional and psychological scars born by both groups are evident; many overseas are homesick and long to return. Yet for those who cannot emigrate or choose not to leave, the sparsely attended wedding celebrations and funerals are stark reminders that nothing will ever be the same. The separation and loneliness from broken families and missing friends is only a conversation over cup of tea and a distant look away. Where does this leave the church? For Pastor Ara, pictured here with John and our US team, the situation is complicated and somewhat of a double-edged sword. 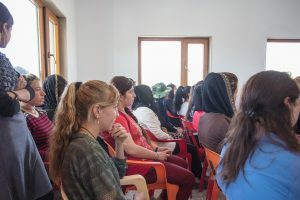 Many background Christian refugees who fled to Baghdad (or other areas) escaping violence in their villages at the hands of radical Islamists, attend the church. They are welcomed and attendance grows. 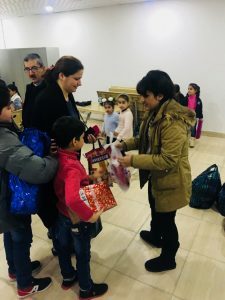 These same refugees have significant needs for basics of shelter, food, water and clothing and look to relief organizations and the church for help. The church does what it can to help refugees, builds relationships and as a result, many open their hearts to the Gospel and encounter a new journey of faith. This is wonderful and the testimonies are each very dynamic! The church follows up with discipleship, meaning the very difficulties that hurt them are turned into ministry opportunities and in time, prepare those who will leave for their future assignments from the Lord. Think Acts and how persecution spread the Church. This church sends her people equipped: some refugees emigrate out of Iraq, others return to their homes. Still others, unable to return home, continue to look to the church for some measure of help. Pastor Ara and the leadership look for ways to care for the poorest families without jobs (elderly, widows, orphans, the handicapped and those in danger) who have very little resources otherwise. Some manage to find jobs. Many become involved in ministry. Meanwhile, life in Baghdad and in this church goes on: young couples are getting married and starting families, children attend school and AWANA, and youth groups are in full swing with pizza parties and Bible studies. Women meet weekly for Bible studies and prayer, and 12 to 14 home groups meet weekly to study the Bible and integrate new Believers into the Body. The mercy ministry to refugees sustains life month after month. The church’s bookstore attracts Christians and Muslims alike, with resources for seekers on who Jesus is, what the Bible says and how to come to faith. This is a vibrant and growing Body of Christ whose beauty includes her scars, for she has suffered much with bomb attacks, threats, and a number of this body have been killed. This Pastor and Body of Believers are an example of grace and strength in the fire. To the Iraqi reading this in some area of the world who has had to leave your Iraqi homeland, we love you and pray God’s strength, provision and guidance for you. 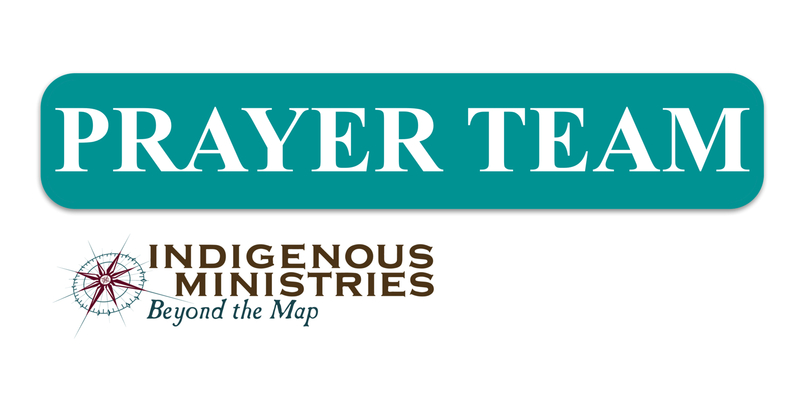 Since 2004, Indigenous Ministries’ engagement with this church has revolved around helping with ministering to a war-impacted Christian and Muslim community. We are proud to partner with Pastor Ara and the team in Baghdad. In a few months watch for next steps in this partnership which we are praying over and believe the Lord is leading us into together for His glory.Please use and share this article as a way to pray with knowledge for this body of Believers in Iraq and the joys and challenges they face and that we are privileged to engage in with them. 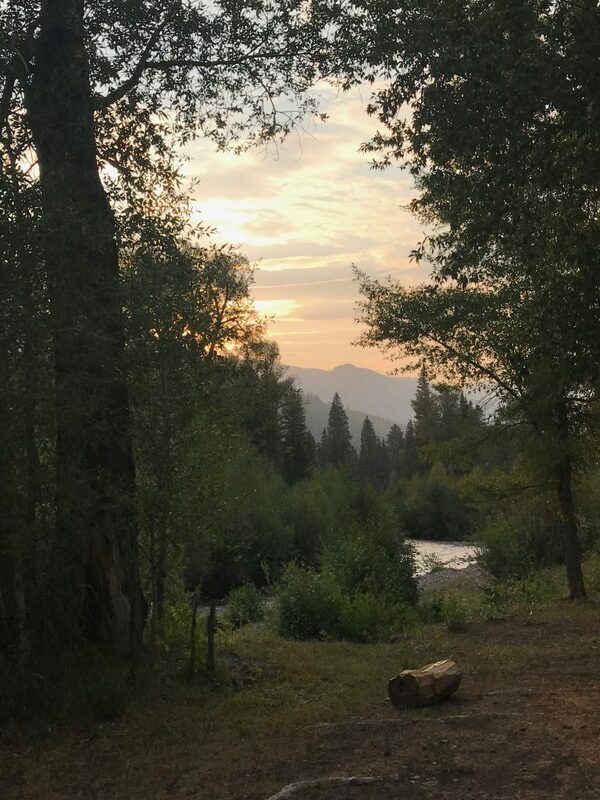 When working in a conflicted area where stories of disasters and rumors of upcoming conflicts abound, it’s a good idea to keep centered on why we do what we do. It’s not difficult to ramp up an attitude of near-panic with so many obvious, physical needs. The challenge of trying to meet these vital needs and win lost souls compete for missions attention and resources in a results-driven world. Churches are not exempt from this mentality, and missionaries can, in seconds, “catch” a panic attack online even in a Facebook post. While we are definitely focused on winning the lost, our first priority is not numbers or a “quick draw” salvation call to impress. It is not to “haul in a great catch.” And perhaps speaking for other comrades in ministry trenches, most of us would be happy with a so-so catch on most days! Fishing cliches aside, God is the one responsible for saving the lost – he draws souls to himself. Then what is our first job? To be faithful until death? To wear out, not rust out for God? No, our first job is to remain in awe of God. To focus on the glory and power of God and to worship Him. This outflowing of our worship of God will then spill out of our hearts. A ministry heart in panic, anger or bitterness with a gluttonousnessappetite for self-fulfillment is one of discontentment and disillusionment. Self-loathing lurks in these unwelcome shadows. God works within His own timeframe and thoughts. While we cannot live without Him, He can’t minister without us. He chooses to use us by His Grace to draw in the lost. The best soil in Jesus’ parables was the soil that received the seed and simply allowed the seed to do the work of multiplication. In another parable, Jesus mentioned that the farmer plants the seed and then goes to sleep. It is through his every day life as a farmer that God multiples His seed. We cannot fabricate “quick” fruit because it’s a natural process which, by its very nature, takes time. What about the thief on the cross? Perhaps Christ’s affirming words that this transgressor would be in paradise should also stir up thoughts that God had most likely drawn this man’s soul long before his hands felt Roman nails. Every one of us will bow our prideful hearts at some point to who God is. John Piper in his book, “Let the Nations be Glad,” writes that worship is a deep foundation of missions and as such means that an intrinsic fear of God, based in personal ongoing experience and knowledge of His awesomeness, is without a doubt our priority. Why is worship so important in missions? Shouldn’t it be obvious by our very name, Christian, that we bear in our souls God’s very name and know Him? No, it isn’t, for the Bible shows clearly that demons recognized and spoke with Jesus face to face many times. Satan himself knows who Jesus is, but that doesn’t mean he worships God or bows his prideful head to give God the glory He is due. Worship means we know, understand and live with a passion for the truth that there is no other God who is due our awe, love, and devotion. Missions is not first and ultimate, God is. God’s much greater than our failures or successes, perceived or real; He seeks to take us to a higher presence than the lure of self pity or ego’s boasts – to Himself. Years ago a spiritual leader bragged to John that they were writing national devotional booklet but had not opened the Bible in years. In the place of awe and worship of God, pride and ego had swaggered in, smothering the fruit of genuine worship. Our passion to see God glorified actually fulfills His own desire to be supreme and central in all things, and the overflow of this delight impacts the lost and spiritually destitute drawing them to God, not to ourselves. This sacred partnership is with the Holy Spirit and the Church whom God uses to draw souls to Himself in a perplexing and inexhaustible love. Love that draws and forgives and renews. Prayer for 2019: Lord, may we, in this amazing New Year of 2019 where you already completely dwell, live in awe, delight and daily worship of you. That the truth that you are Supreme and worthy of all the Glory will permeate every fiber of who we are and what we do. Father, we ask that our staff, our dear partners in the US and our precious team members overseas will live in confidence that You and You alone are God and humbly ask that our worship of you will draw many souls to you. Amen. She’s a refugee who has, with her husband, left a refugee camp to re-settle in their home which ISIS tried to destroy. She’s attended BI’s meetings and wants us to hold a conference in her town now to encourage her neighbors and friends. Her loving welcome amidst a post war zone touched my heart. 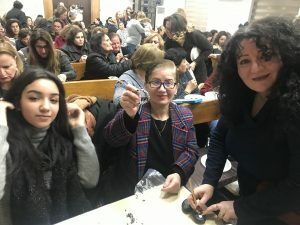 In March, hundreds of women gathered together to listen to the story of Hagar who was also displaced and whose life was tossed about by other people’s decisions. It was a thrill to be able to met these women and speak to them in Baghdad for the first time! We had a great time together in the Word, exercising and making the signature Beautiful International beaded memory wire bracelets. 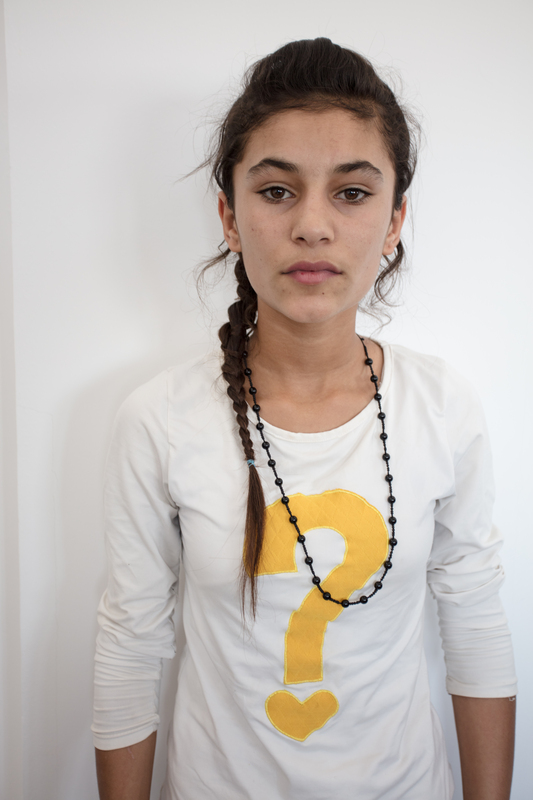 Then in Kurdistan, we met with two more groups of Beautiful women who are refugees. The energy in the refugee camp was off the charts as the women laughed, sang and spent time together around the Word. I asked a group of Iraqi and Syrian refugees what their biggest personal challenge was as a woman…no one hesitated; “It’s our children, of course, we are so concerned for them, it’s hard to get good medical care,” some said, others, new refugees from Syria, noted with frustration that their children cannot understand the Kurdish language and cannot attend school. I look forward to sharing with you more ways we help women in the Middle East. These women know that so many of you here in the US make these meetings happen with your prayers and financial gifts, because I share that you want to help them – they send their love and grateful hugs to you for these wonderful times! Please give generously to Beautiful International. Thank you. Join me in Egypt or Iraq in Fall 2018: Cost: $3850. Pray, teach, sing, help with crafts, bring a group from your church. The time is now. Women are waiting, and you CAN make a difference! Contact our office to sign up. This month as ministry in Iraq continues, the families our teams are serving share their personal stories and gratitude; stories of great heartache and frustration. One widow and her three children, revealed they were living on the food they were receiving from our child sponsorship program. Others share they learned their home is destroyed and wait for the government to help. At this time, refugees are in no small struggle with their fate. Reports state that in the past three months, hundreds of thousands of refugees in the Anbar governorate are returning to their districts and some to their homes, or what is left of it. Sounds good, doesn’t it? This is false hope. Fallujah in Anbar was the first to fall to ISIS in January 2014, and the offensive against ISIS concluded in Rawah in November 2017, the last town liberated from ISIS control. Now that major military efforts against ISIS are completed, the focus is on resettling millions of internally displaced Iraqis. Sending Syrian refugees home, another topic entirely, remains a dismal prospect at present, given the condition of their home government. Complicating matters for Iraqi refugees are conditions causing many to leave refugee camps prematurely. Some are coerced by family and tribal leaders, while others are being forced out of camps by the Iraqi government in an attempt to resettle refugees. Despite the UN’s Funding Facility for Stabilization (FFS) launched in 2015 to provide funding to stabilize and rebuild areas previously held by ISIS, the consensus is that needs greatly outnumber resources. These conditions have created “re-refugees,” or refugees once again without homes, making this crisis even more heartbreaking. Safety cannot be guaranteed for families with unexploded explosives scattered throughout cities, communities and in homes. In surveys, 30% of refugees have no idea of the condition of their homes, and those who have information are often disappointed to find out their homes are greatly damaged, already inhabited by someone else, and their community infrastructure has yet to be rebuilt. Another twist in this drama is the ongoing terrifying prospect of neighbors turning each other in to be arrested as “ISIS collaborators,” whether true or not. Families have seen their loved ones killed as a result. After enduring so much, the threat of the ISIS state of mind is still very much a destructive one. For those who lived under ISIS control, freedom now is a mixed bowl of cherries, and some of the cherries are rotten. We cannot overstate the importance of aid families are receiving from our program. The refugees we minister to are receiving some of the most basic food packets and other supplies from our program, which help make life more bearable. What we have confirmed, as John and I are in Iraq, is that no aid is insignificant. Families living on the edge of existence need the aid and spiritual hope given through the Refugee Child Sponsorship Program. 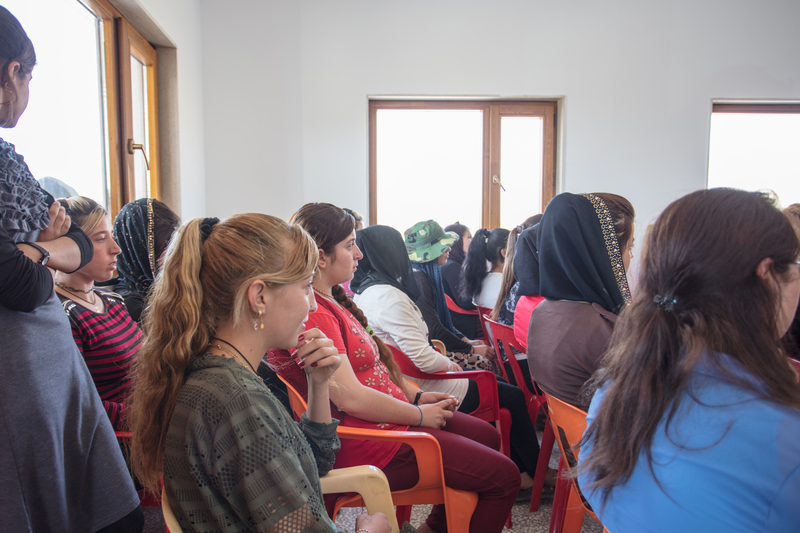 The Yazidi high school girls and women in N. Iraq took their final exams this month and have done well! We’re so proud of each of them. 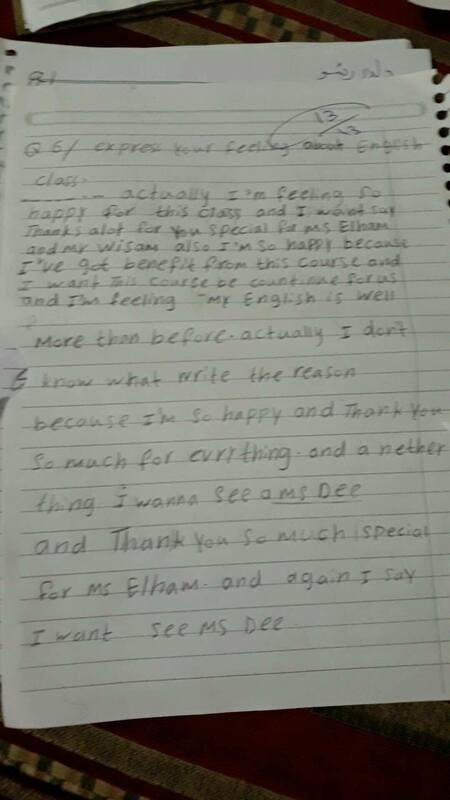 A special word of thanks to our team lead for this project, Wesam, and to Elham, who has been teaching since July. For 10-15 minutes before classes, Wesam has been sharing the Word of God. The ladies asked to know more about our beliefs, and say they really enjoy these sessions. Our funding for this project has run out, however, the girls and women have asked to continue, and 36 jumped in and signed up for the next classes. By faith, I’ve said we will continue with this great opportunity, as long as the funding comes in. We will also include a backyard Good News Club-style meeting for the children each week. 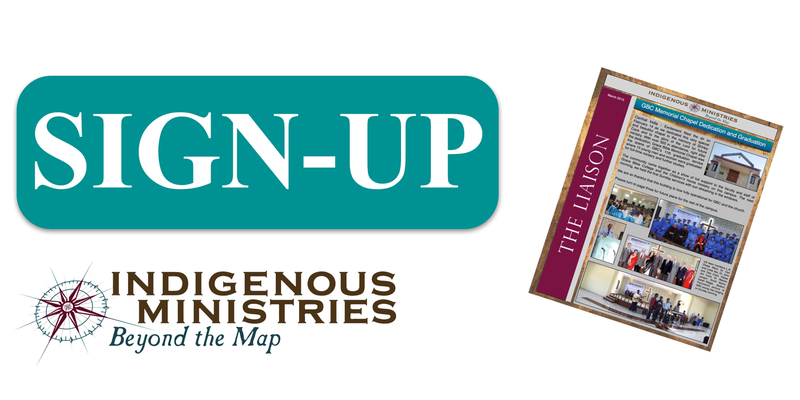 To donate, go to IndigenousMinistries.org and select Beautiful International Women’s Ministries. The need each month is $2950; we are asking the Lord for six more months of classes. Thank you so much for praying and giving. 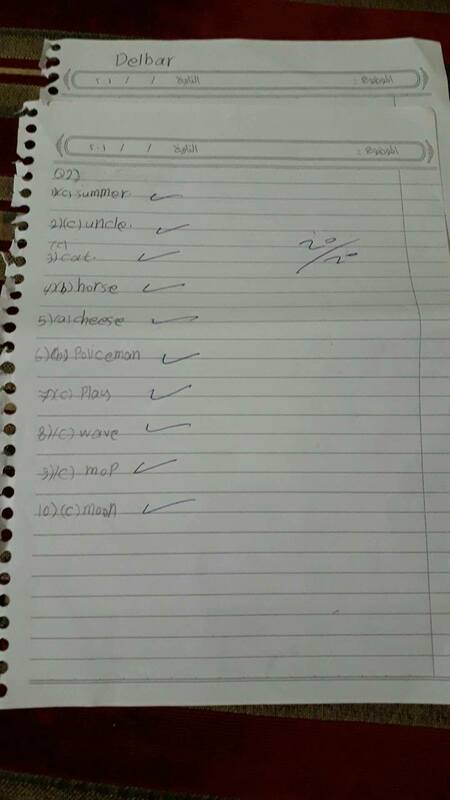 Two of the exams turned in; the comment on the bottom one is: “Actually, I’m feeling so happy for this class and I want say thanks a lot for you special for Ms. Elham and Mr. Wisam. Also I’m so happy because I’ve got benefit from this course and I want this course be continue for us and I’m feeling my English is well more than before. Actually I don’t know what write the reason because I’m so happy and thank you so much for everything. And another thing, I want to see Ms. Dee and thank you so much…” Think this class matters to her?